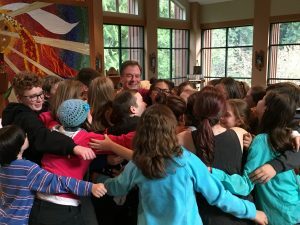 The Diocese of Olympia runs and assists worshiping communities with many youth faith formation events in the region. 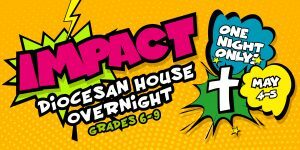 These programs and events provide a great opportunity for youth to join a larger group from around the Diocese and are a wonderful supplement to any youth group calendar. Youth experience different leaders, meet new friends, visit other churches in our diocese and live into a larger christian community. Please consider these dates when planning for your own outings, youth events and mission trips. Friends are always welcome, have them register ahead. We often have special welcome rates for those who are coming for the first time! Scholarships are available upon request. See what our Youth have been up to on their Flickr feed. For youth in grades 9-12 from all over the diocese. 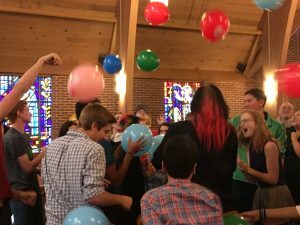 These weekend retreats include faith formation and exploration, fun, and fellowship, through contemporary music, worship, small group conversations, games, workshops and special activities. Events start on Friday evening and end midday on Sunday. Themes and activities for retreats are selected and planned by the youth council. 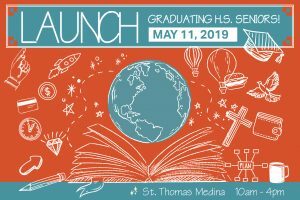 Join us for Launch! – a new event for graduating High School Seniors. We’ll have some fun and engaging activities, as well as lunch with Bishop Rickel and a question/answer session with a panel of young adults. Plus, you’ll be able to choose from a selection of workshops with topics like– cooking and eating healthy on a budget, managing finances, transitioning to college, and creating personal prayer practices. Faith-based fun! Young people in grades 6-9 are invited to join us as we navigate the turning-into-teenager years. With lots of community-building games and activities, this is the place to find friends who will be with you through it all. 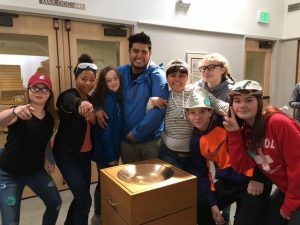 Youth come together from all over Western Washington to share in music, worship, faith formation and fun. Weekend events start on Friday evening and end midday on Sunday. Themes and activities for retreats are selected and planned by the youth council. Join us as we explore what God has in mind for us through small group conversations, workshops, and daily worship. There will also be games, a dance, a variety show, and camp activities like crafts, archery, and campfires. And if you need some time alone to think, there will be plenty of chances to relax, have a swim, or go for an exploratory hike. We stay in cabins, have great food, and fabulous music provided by our great contemporary band that several of the youth join in on. You don’t want to miss it. Invite a friend! Baptisms and confirmations may be done at camp at a service that will be held on the last day of camp. Parents and congregation members are welcome to attend. Some advance preparation is necessary, please indicate on your registration form if you would like to participate. –Creation Care/Environmental Justice Pilgrimage coming in 2019- Save the dates August 4-10. Watch for more info. 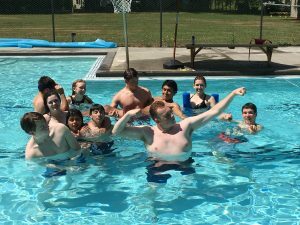 The youth are an important part of our diocesan family. As a result, youth serve at our annual convention in several ways: as pages, acolytes, and as regional youth representatives. Regional Youth Representatives (ages 16-21 and a communicant in good standing), have seat, voice and vote on the Convention floor which is a unique leadership opportunity and an exciting way for young people to voice their concerns and opinions about issues and topics of discussion. Those serving as Pages (must be in grades 9-12), work behind the scenes distributing information, collecting ballots, being a runner and helping to staff the youth booth. Acolytes, serve at the Eucharist on Saturday. Convention in 2019 will be held at the Lynnwood Convention Center and is November 8-9, 2019. Please contact the Youth Ministry Coordinator, Denise at dbrumbaugh@ecww.org if you are interested in any of these roles. 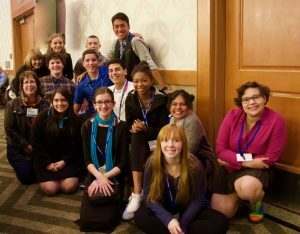 Once a year, youth are selected to be on the Diocesan Youth Ministry Council. The youth take leadership roles and help plan youth retreats for the year. There are about 3 meetings a year where planning takes place: Jan, May/June, August. Youth are asked to be able to make 2 out of the 3 meetings.